We don’t often those kinds of compliments, even after a great night’s sleep. But more and more, people are turning to Oculoplastic surgery as a way to turn back the clock on their appearance. And for others, Oculoplastics is a necessity to help them with a medical issue. Either way, the world of Oculoplastic surgery is a growing field within Ophthalmology. Doctors all over are performing precise plastic surgery in and around the eyes and helping people get healthier and look better. Keep reading, and we’ll give you the low down on everything you need to know about Oculoplastics. Let’s start by going over a basic definition of what Oculoplastic surgery is. Oculoplastic surgery is the overall term that refers to several different types of plastic surgeries. These surgeries are in and around the eyes (putting the ‘ocular’ in ‘Oculoplastics’). Specifically, that can mean the eyelids, the tear ducts, the orbit of the eye, and the area of the face that surrounds the eye. Some Oculoplastic surgeries are cosmetic, and some are medically needed. And some are both. There are issues involving the eyelid, for example, that can have a negative impact on a person’s vision. And at the same time, they might want surgery to change the look and age of that same eyelid. You might think that a doctor performing plastic surgery in and around the eyes receives the same training as other Plastic Surgeons. This is only partially true. While both professions require similar education, including Medical School, Oculoplastic Surgeons have to complete full training in Ophthalmology before they hone their focus to plastic surgery. In other words, you have to become a Board Certified Eye Doctor first, and then learn the skills needed for Oculoplastic surgery. Once they are Board Certified Ophthalmologists, these doctors then go through two additional years of training on the minutia of Oculoplastic Surgery. They also have the option of showing five years of experience in the field, with supplemental teaching and publishing. So, as you can see, becoming a certified Oculoplastic Surgeon is a long and complex process. Within this field, there are still some variations. For example, there are trained Oculoplastic Surgeons who remain primarily Ophthalmologists. This means they are still heavily focused on mainstream vision issues, but they have the capability to diagnose and, if needed, fix plastic surgery issues. Next, there are some Oculoplastic Surgeons who focus mainly on the plastic surgery side of things and tend to lean towards cases where there is a medical need for the surgery. They will sometimes work on cosmetic cases, but it’s not the bulk of their workload. Finally, you have Oculoplastic Surgeons who focus more on the cosmetic side of the business, taking advantage of the need for Oculoplastic Surgeons in an era where people are constantly striving to look younger. Obstructed tear ducts, dry eye or any other issues involved the production of tears. Exophthalmos – certain diseases like thyroid eye disease or sinus issues can cause the eyes to stick out more forward than normal. This gives the patient a look of eyes that bulge out. Entropion, or eyelids that turn abnormally towards the eye, causing irritation. Ectropion, or eyelids that turn abnormally out, away from the eye, leaving the inner surface of the eyelids exposed. Ptosis, which is when the upper eyelid droops down more than normal. And other injury or illness to the eye and its surrounding areas. And in addition to these more traditional medial issues, Oculoplastic surgery can be used to help more cosmetic issues. These include wrinkles, fine lines, skin sagging, and damage from the sun. Let’s take a look in more detail at some of the procedures described above. Blepharoplasty is the most common eyelid surgery performed. It’s when doctors remove excess and sagging skin from the lid. In addition to shaving off years from the patient’s appearance, Blepharoplasty can also help them see better in their peripherals. In the procedure, the Oculoplastic surgeon makes an incision in the upper lid and then lifts the skin from the tissue underneath it. The doctor is then able to remove any extra skin, muscle, and fat that is in the lid. The surgeon will sew the patient back up to finish the surgery. Some patients require the lower lid to be worked on as well, but often Blepharoplasty mostly involves the upper lid. The procedure usually lasts a couple of hours, depending on the specifics of the patient’s surgical needs. 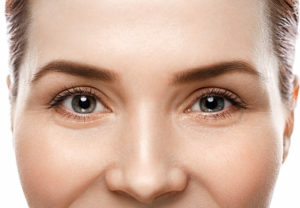 Ptosis repair is a similar procedure but is focused on getting the edge of the upper lid back to its normal resting state about the center of the eye. The surgeon will focus on lifting the lid back up to its natural position so that the drooping of the top lid stops. Patients should expect a quick recovery from both Blepharoplasty and Ptosis repair. Both are generally performed at a surgery center, rather than at a hospital. In both cases, the patient will be able to go home after the surgery, with no hospital stay necessary. That word is a mouthful, so let’s just stick to its alternate name: tear duct surgery. Tear ducts are the part of the body that works on the flow of tears. Because you are used to seeing tears go forward down your cheeks, you might think that’s their natural flow. While that’s true for times when you’re crying, most of the time the eye produces tears that drain down the nose and throat. Tear ducts are what allows that to happen. When they become blocked, tears will start abnormally collecting in the eyes, which can be uncomfortable. It can also leaded to blurred and reduced visions. In this procedure, the Oculoplastic Surgeon makes an incision either in the skin just next to the eye, or directly through the nose. The surgeon will then create a new tear drain opening in the nose and sometimes leave in a stent to keep it open. This stent is only temporary in most cases. Tumors can pop up anywhere in the body. While you might not think of the eye as being a place where tumors arise, they can. Some more common types are skin tags and styes. These are both generally benign growths. But they still need to be removed. Other, more dangerous tumors can also grow in the area around the eye. These tend to be varieties of skin cancer and metastasis. Before orbital surgery, patients will need to get a CT scan of the eye, often followed by a biopsy. The biopsy will involve removing tissue or body fluid so the doctor can rule out conditions such as cancer. Since orbital surgery is fairly varied from patient to patient, there isn’t one specific surgical approach we can point to. But depending on the severity and specifics of the issue, the Oculoplastic Surgeon might make a small incision or no incision. On the other hand, they might need to make a larger incision, which could lead to potential scarring. Many patients find that over time their eyebrows and foreheads begin to sag down. For men, the normal positioning of eyebrows is either on top of or just above, the frontal bone. Women tend to have their eyebrows slightly higher up than men. Theirs tend to always be above the bone, and often well above it. In either case, a Surgeon can perform an eyebrow and forehead lift, to reposition them back to their natural resting state. This procedure is often done in conjunction with Blepharoplasty. The Oculoplastic Surgeon will choose one of two approaches. The first is to make a long incision at the top of the forehead, hidden in the hair of the scalp. The other method is to use several smaller incisions behind the hairline. This is known as an endoscopic incision. Either way, the doctor will then remove extra skin, and raise up the eyebrows and forehead. Then they will suture the patient back up. The recovery time and severity will depend on what type of surgery you had. But there are some post-surgery procedures that tend to run across the board for all Oculoplastic surgeries. For starters, most of the procedures are outpatient, which means you’ll go home after it’s done. Since the procedure could temporarily affect your vision, it’s always a good idea to have someone else drive you home. You’ll want to relax and put cold compresses on the operated-upon area for the first several days. This will help keep swelling down and provide some pain relief too. Avoid heavy lifting and exercising, as these could tear stitches or cause more bruising and swelling. There will likely be some swelling, bruising and discomfort after the surgery. So you’ll want to take pain relievers like Advil or Tylenol to help with that. In some cases, your doctor will prescribe stronger pain medication. If your particular surgery required stitches, and the doctor did not use dissolving stitches, you’ll need to book a follow-up visit a week or two after the surgery. Generally speaking though, people report that the post-surgery period for more Oculoplastic surgeries is fairly complication free. The pain is on the milder side when compared to more complicated surgeries. First and foremost, it’s important to understand that with any plastic surgery, there will be at least some change in the way you look. This might be only a subtle change if your procedure is medical. Or if it’s a cosmetic procedure where there was only a slight amount of correction needed. However, with some more involved Oculoplastic surgeries, there will be noticeable changes in the way you look. And usually, that’s a good thing! If you were seeking Oculoplastic surgery to fix a cosmetic issue, you are trying to achieve a new look! But there is always the risk of the result not matching your expectations. This could be because making you look exactly as you hoped was beyond the scope of that procedure. It’s important you talk to your surgeon before the procedure to help you get a sense of what to expect. Oculoplastic Surgery For A New You! There are many reasons both medical and cosmetic to consider Oculoplastic surgery. We hope that this guide has given you a better sense of everything you need to know about Oculoplastics. If you’d like to move forward with a procedure, or just learn more about it, we’d love to help. Visit our site and contact us today to answer any questions you have!